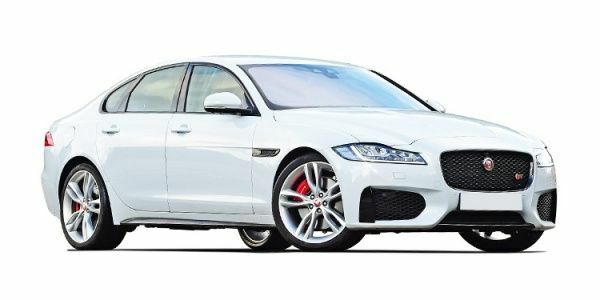 July 1, 2017: With GST kicking in, prices of the Jaguar XF have been revised. Based on pre-GST taxes, the ex-showroom prices have gone down. Mumbai: The starting price for the sedan now starts at Rs 44.89 lakh, as opposed to Rs 50.23 lakh pre-GST. That's a reduction of Rs 5.34 lakh. Prices have been slashed across variants. Delhi: The starting price for the sedan now starts at Rs 44.89 lakh, as opposed to Rs 47.5 lakh pre-GST. That's a difference of Rs 2.61 lakh. Prices have been slashed across variants. Jaguar XF prices start at Rs. 54.37 lakh for petrol and goes upto Rs. 60.74 lakh. The prices of XF diesel variants start at Rs. 49.78 lakh and the top-end diesel is priced at Rs. 61.39 lakh. Jaguar XF is available in 5 variants and 2 colours. Share your experiences with XF? The claimed ARAI mileage for the Jaguar XF petrol is 10 kmpl, and for the Jaguar XF diesel is 19 kmpl. Q. Which is best Jaguar XE or XF? Q. How much feet of ground clearance? Jaguar XF Prestige has a ground clearance of 141mm (0.462598 foot). Q. How good are the rear seats in terms of under thigh support and legroom? Q. Is Air suspension is available? No, the Jaguar XF does not get air suspension. The new XF gets the all-aluminium Ingenium diesel engine. We take it for a spin to find out what it's like! Retailing in the price range of Rs 46.60-72.21 lakh (ex-showroom Delhi), the Jaguar XF is an attractive option for the buyers looking beyond the German triad of Mercedes, Audi, and BMW. The design of XF is typical of a Jaguar with characteristic slim headlamps, dominating grill, large alloys, and Coupe-like roof. The cabin is well appointed too and the features like heads-up display, in-car Wi-Fi, and touchscreen infotainment system with apps makes the Journeys comfortable and seamlessly connected. Under the Hood, Jaguar XF draws the power from a set of 2.0-liter petrol and diesel engine putting out 198bhp/340Nm and 177bhp/430Nm respectively, mated to an 8-speed automatic transmission sending the drive to the rear wheels of the car. The XF also sport the convenience of paddle shifters for enhanced comfort. Among the major competitors, the Jaguar XF is taking on the likes of Mercedes Benz C-class, BMW 5 series, Audi A5, and DC Avanti among others. Jaguar Tows Skier At 189kmph To Create World Record!